2018 is here, and Talisman Games has been born! There’s not much to tell yet, but you will hear more from us in the coming months. Andre continues to work on updating Magic Life Total. He’s getting the app clean and complete with a new advertiser and updated SDKs. Once that’s done he’ll be adding multiplayer support (1-4 players) — our #1 most requested feature. Poison counters won’t fit nicely on screen in 4-player mode, so Andre is also changing how counters work in the app. It gives us a chance to add more counters, such as Energy, EDH…basically any generic counter so players can track whatever they need to track. How will we make counters fit on such small screens in 4-player? We look forward to testing out our new UI ideas! 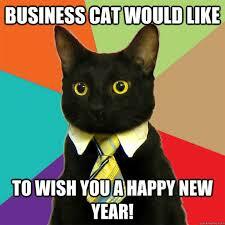 can you now make a business cat simulator? We are a games studio dedicated to crafting amazing video game experiences and developing mobile apps that support your favorite tabletop games. Get in touch! Click here.